Ubisoft has had it's work cut out for it with Rainbow Six Siege and the overwhelming amount of toxic players. 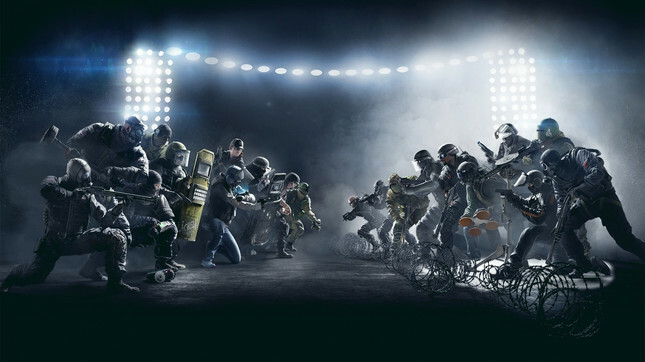 Earlier in the year Ubisoft's multi-player shooter started to get focused moderation, with the goal of eliminating players' hate speech from the game. According to PC Gamer, Ubisoft has confirmed the addition of a new system that is handing bans when slurs are used in the game's chat. The bans come in varying levels of severity based on the the amount of offenses a given player makes. First time offenders will receive a thirty minute ban while second and third offences will receive a two hour ban. Offend a third time and your account will be investigated with the possibility of a permanent ban. Some players have taken umbrage with these new measures but Ubisoft, rightly so, isn't having a bar of it. The game's code of conduct clearly warns players that "any language or content deemed illegal, dangerous, threatening, abusive, obscene, vulgar, defamatory, hateful, racist, sexist, ethically offensive or constituting harassment" will result in "disciplinary action". Let's be fair here, if you get to the third strike, you probably deserve a ban and should re-evaluate your behaviour both in and outside of games. Ubisoft aren't the only studio fighting against player toxicity. Just last month Blizzard announced changes to player to player interaction in Overwatch to encourage improved social experiences.